A recently conducted renovation has left you with a heap of leftover rubbish and after builders mess? The garden shed and garage are due for a long postponed clearance? Want to finally part ways with that humungous, old and ugly wardrobe, as well as that retro chic washing machine that weighs at least a ton? If that’s the case, then by all means give us a call and our specially trained clearance teams will be with you as soon as possible, they will take care of your junk removal requirements in the most efficient and professional manner. Garage junk, basement and attic rubbish, garden shed refuse etc. After builders rubbish, leftover and discarded construction supplies etc. Single items like heavy appliances, awkward pieces of furniture etc. Furthermore, we can also arrange for top to bottom house clearances without excess costs. As you can see, our junk removals in Barnsbury are flexible and suitable for a range of purposes. Our junk removal services are also inexpensive and able to meet specific budget requirements. We will only charge for what we actually collect. We offer flexible pricing and competitive quotations which reflect the actual scale and complexity of your clearance/removal request. Our rubbish removals in Barnsbury are a suitable alternative to skip hire, however we can arrange for a skip to be delivered and then picked up from your property at your own convenience – no permits, licensing or waiting periods. We also consider ourselves an environmentally aware waste removal company, this is why we have permits for using all London junk depots and processing facilities. This way we make sure everything that can be recycled and reused is, and that none of the rubbish we collects ends up where it shouldn’t. Customers will be glad to know that we maintain round the clock support over phone and email, seven days a week. We organise for job viewings at no extra cost, and maintain excellent short notice availability. Also, we are able to accommodate last minute bookings and even offer late night rubbish removals in the N1 postal area. Barnesbury can be described as a pioneering and gentrified suburb, made up of older terraces and squares, along with some council housing. Present day Barnsbury is just a small portion of the original large manor of the Berners Family – owners and founders of the manor. Certain legal obstacles and specifics prevented urbanisation and construction in Barnesbury for many years – first construction and development in the district began as late as the eighteen twenties. 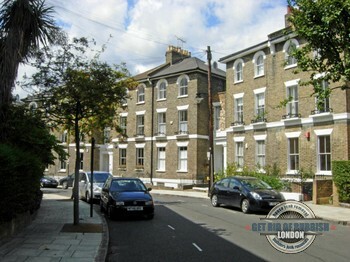 One of the first organised developments in Barnsbury was the so called Barnsbury Park Community – a short lived cooperative complex founded by an eccentric Frenchman named Mr Baume. The project initiated by radical shoemakers and tailors even included a farm and a college.